With the largest community of photographers in the RGV! We have everything that you need to become a professional photographer. The largest community of photographers and students in the RGV. RGV Photography Workshops is the first professional photography school in the RGV. The full journey of photography covers camera fundamentals, technical skills, creative techniques, business strategies, and more. Our community works together in a collaborative environment in the classroom and our professional studio in downtown McAllen. Contamos con instructores profesionales que dictan las clases de fotografía completamente en Español para tu comodidad. As a student, you receive access to our professional studios and equipment for practice, personal and class assignments. The beginner course has everything you need to start expressing yourself through photography. We will walk you through all the features of your camera with hands-on sessions in the RGV Photography Workshops studio in McAllen. 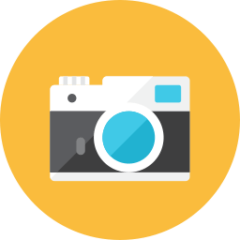 Fotografía para principiantes en español. Take a glimpse at our student gallery. Directions with maps and pictures. RGV Photography Workshops is all about community. We pride ourselves on having the largest in the Rio Grande Valley and a 5-star student satisfaction. I’ve been taking classes from start to finish. Now as a professional photographer, I’m still meeting and seeing other photographers through the group. Attending your class is one of the best choices I’ve ever made. It was an awesome experience and I learned a lot. Thank you for sharing daily links, they’re very informative and keep me in the loop. You’re the best. We proudly have the largest community of photographers in the Rio Grande Valley. Join our Facebook Page and stay tuned to RGV Photography Workshops! RGV Photography Workshops is a school of photographers for photographers, dedicated to producing the best work they can, and help build the photography community here in the Rio Grande Valley. Help others. Embrace change. Never stop learning.